Are Women in HR Paid Fairly? Learn about Namely's powerful HR reporting tools. Employees are the heart of your company—they help shape your culture, drive innovation, and contribute to the business’ overall success. That’s why people decisions matter and why you need data to make the right call. Namely’s mission is to empower HR teams to make those decisions with confidence. With a series of product updates this month, we’re following through on that promise. 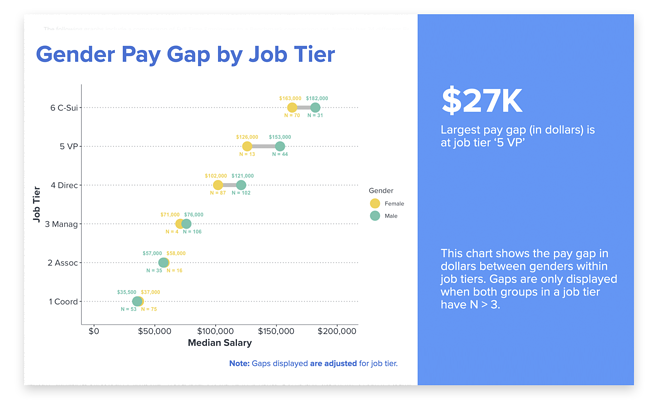 It’s no secret that pay disparities exist in the workplace. Studies show that women earn just 80 cents to the dollar. Among minorities, the disparities are even larger. Ensuring that employees are compensated fairly is one of HR’s most essential responsibilities—but they need meaningful data to act. 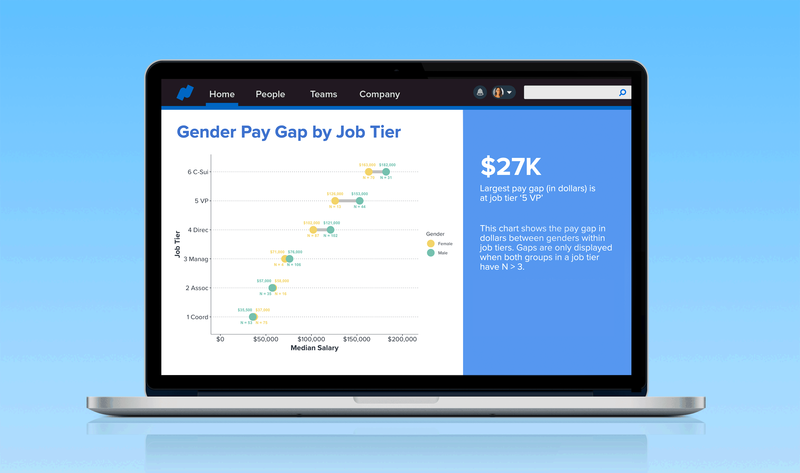 That’s why we’ve added pay equity to our HCM Benchmarking reports, including pay breakdowns by job level, department, and tenure, along with industry benchmarks for the most critical metrics. With unemployment at a 50-year low and the job market leaning in job-seekers’ favor, it’s more important than ever to see how your compensation packages compare, so you can remain a competitive employer in your industry. All of these insights are packaged in a board-ready quarterly report, so you can share your findings and action plan with company leadership. When it comes to key metrics like turnover and diversity, we all want to know where our company stacks up. For the first time ever, we’ve brought those insights into the platform. With the new Company Insights dashboard, you’ll see how your people data compares to others in your benchmark set. 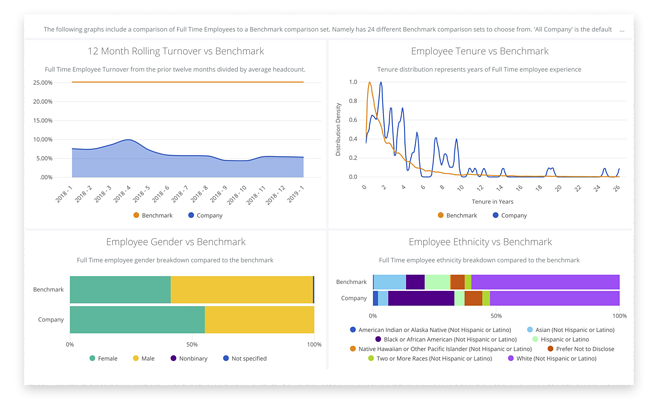 The new dashboard gives HR teams a clear view of turnover, net additions by month, gender distribution, and much more. When employees take time off, everyone wins. While even a short vacation can reduce stress and increase productivity, over half of Americans don’t use all of their time off. That begs the question: Are your employees taking full advantage of your company’s PTO and work from home policies? 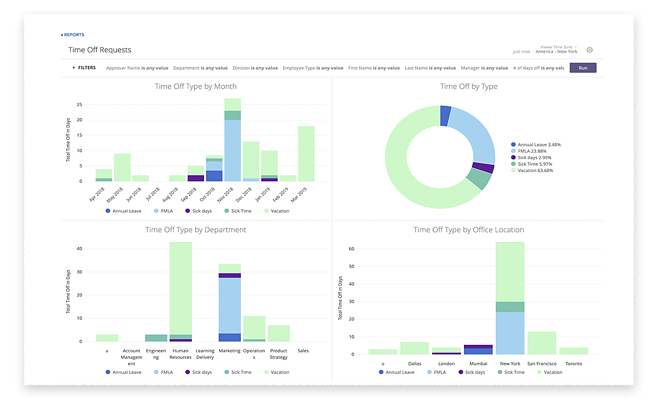 Our new Time Off Requests dashboard gives you a bird’s-eye view of employee vacation days, sick days, and work from home requests by department, office location, and more. You’ll gain insight around how and when your people are taking time off and what your company can do to encourage employees to take a much-needed break. These new features are now available to all Namely clients. Click here to see them in action.